Spring MVC, as it is known, is a Web infrastructure system in the Spring ecosystem. Spring MVC uses InternalResourceViewResolver class as default resolver, and this resolver class works with JSP view objects. But in Spring MVC, there are also resolvers that can resolve the different view technology. Here you will be introduced with the MustacheViewResolver class which resolves the Mustache template architecture. MustacheResolver does not exist as default in Spring MVC libraries but every developer who wishes to do that is free to develop his own view resolver. I want to leave the Advantage / Disadvantage comparison to you, precious developer, and I would like to explain the issue step by step. Step 1: Prototyping Spring MVC Maven archetype. The following Maven command set is run on the command-line and then the prototype number, seen on console is selected. 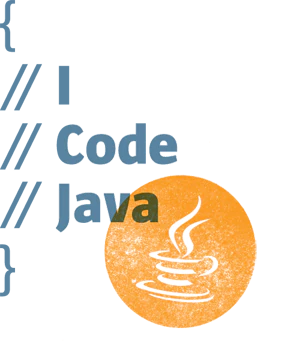 The above Maven project prototype contains configuration of XML independent Spring MVC. Of course if it is desired, this project can be used easily in the form of XML-structured. Step 2: Adding MustacheViewResolver dependency to pom.xml. This dependency is being developed by Sean Scanlon. This dependency uses JMustache library in the background. Step 3: Adding MustacheViewResolver into MvcConfiguration constructor class. This class is used instead of InternalResourceViewResolver which is used as default in Spring MVC. Step 4: Creating Book-Model object. This model class is read by Spring MVC and then placed into Mustache placeholders according to data field names. Step 5: Assigning the List Model data to the ROOT ( / ) resource and then assigning this model data to the “home” page in HomeController class. Spring MVC defragments the Model and View components in the defined ModelAndView object and then html page which placeholders’ were filled is returned to the user. 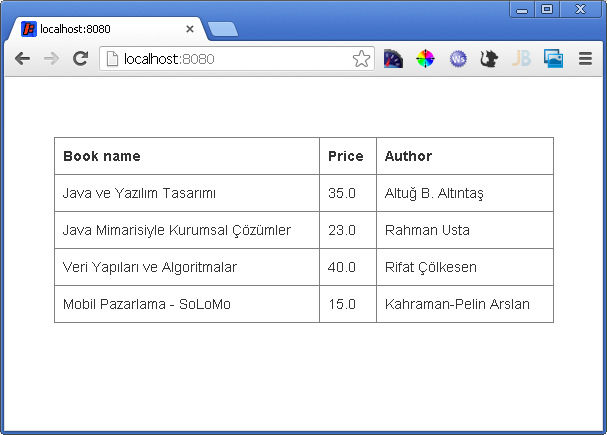 Step 6: Creating the page “home(.html)” view. Neither an external XML element and a Java code, nor a JSP component that is contrary to HTML standard can be seen when you look home.html page. So, absolute Mustache placeholders that exist in absolute HTML and text format are the striking elements of this page. You can access to the application directory by”cd” (change directory) command and then “mvn jetty:run” command set. You can obtain the source code from here. Hope to see you again, good bye.